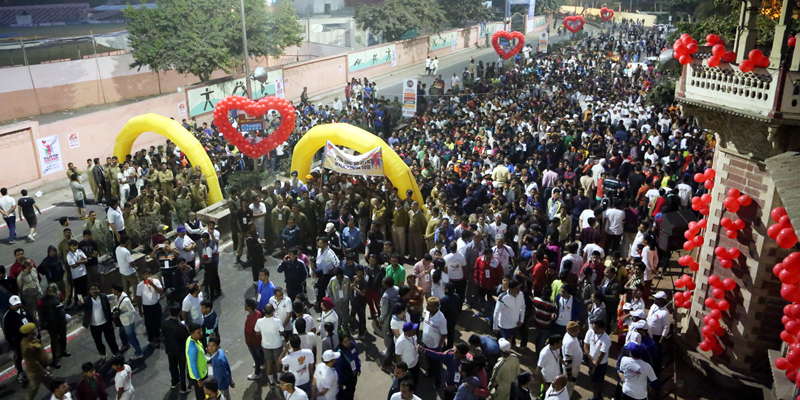 One of the biggest public health events in India with participation of more than 20000 people. The enthusiasm exceeded all expectations. 4. Rest of the participants had to be flagged off without tags. 5. Registration continued till 7.45 am. 5000 early bird participants given pedometers. 5000 rally caps and 2000 skipping ropes for children. Many institutions and corporates got their own T-Shirts printed through the organisers and distributed the same amongst their staff. School children were served fruits after the completion of walk.